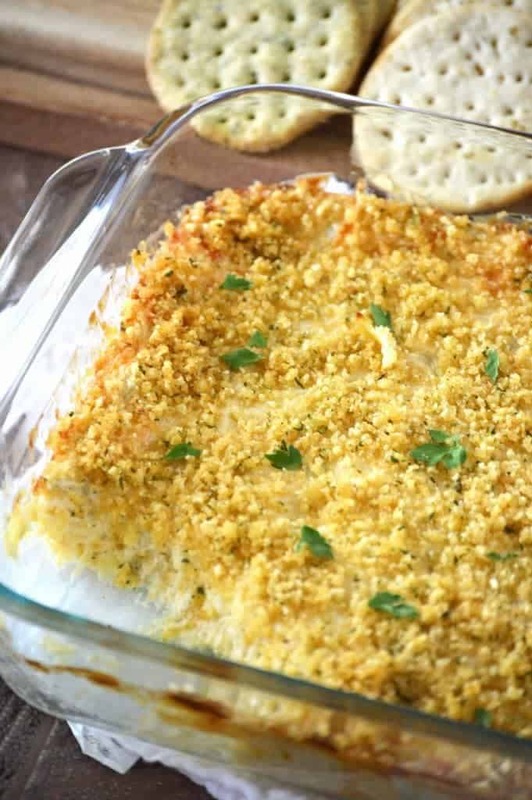 This Cheesy Artichoke Dip makes the perfect appetizer and makes enough to feed a crowd. It’s hot, cheesy, bubbly, full of artichokes and a crunchy cracker crumb topping. Ever since going gluten free, Adam has been severely disappointed with his options for crackers. 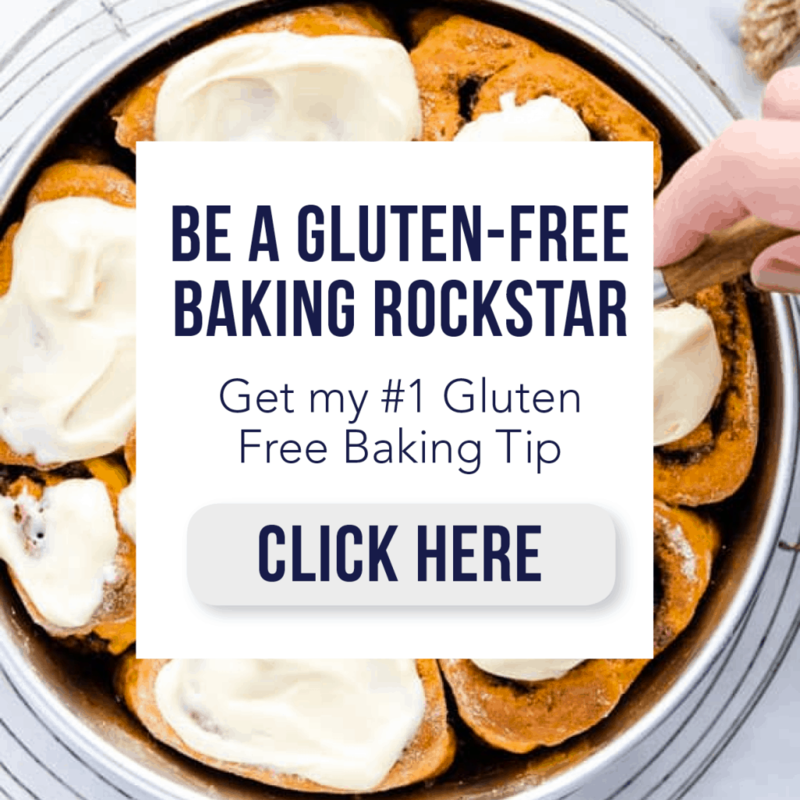 He was always a big fan of peanut butter crackers for snacking on but there have been very few gluten free crackers he’s come across that work well for that. Luckily, we now have Breton Gluten-Free Crackers available to us. They’ve got four great flavors to choose from: Original with Flax, Herb & Garlic, Black Bean with Onion and Garlic and White Bean with Salt and Pepper. Both the black bean and white bean crackers are new flavors. 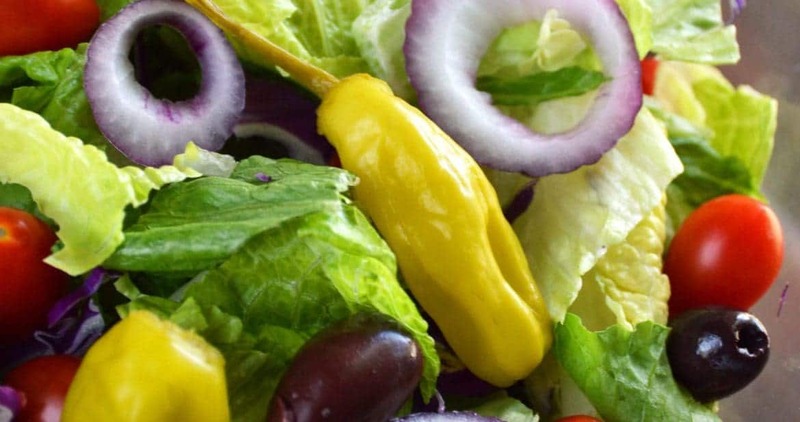 My personal favorite is the Black Bean with Onion and Garlic – so good! The flax crackers are perfect for peanut butter crackers or anything you want to top them with since they don’t have any other flavors added to them. Breton Herb& Garlic, Black Bean with Onion and Garlic and the White Bean with Salt and Pepper crackers are all excellent when paired with cheese or dips. All of them are perfect on their own as well so they make a great portable snack option. 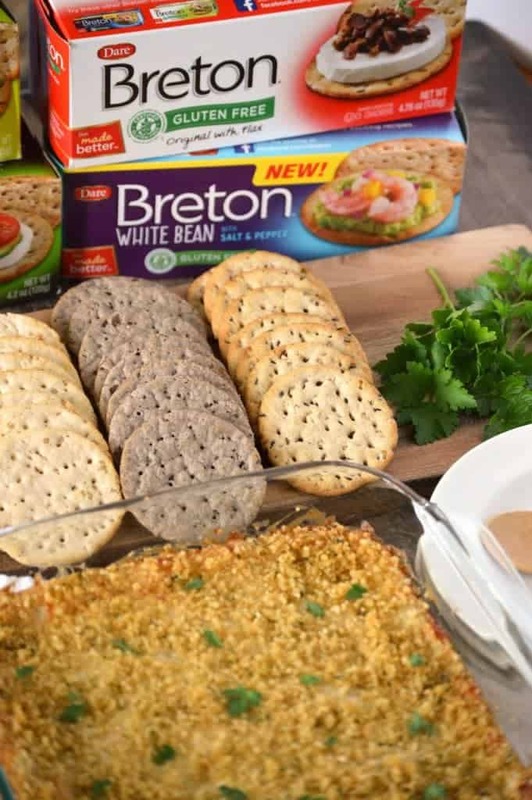 Plus, all Breton crackers are certified gluten free by the National Foundation for Celiac Awareness Gluten Free Certification Program so not only are they delicious but they’re safe as well. 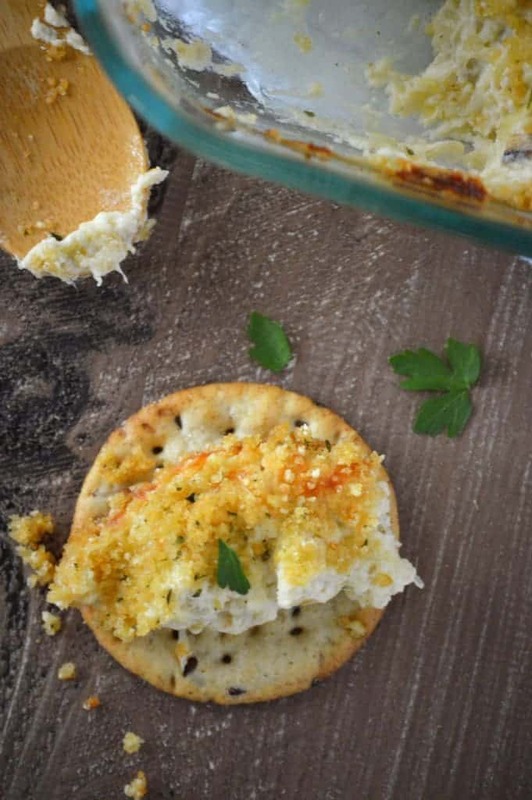 The Breton Gluten-Free Crackers were the perfect vessel for this Cheesy Artichoke Dip. This dip has been a favorite of ours for a long time. It’s so cheesy, so full of artichokes and so full of flavor. Three types of cheese and spices send this dip over the top. But I’m pretty sure my favorite part is that extra crunchy topping. 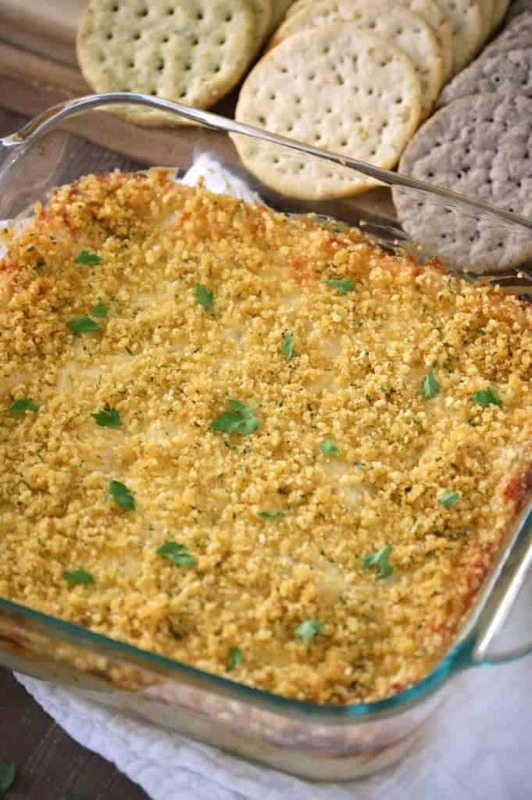 If you’ve ever had homemade baked macaroni and cheese with breadcrumbs on top, you know what I’m talking about – extra crispy goodness in every bite. 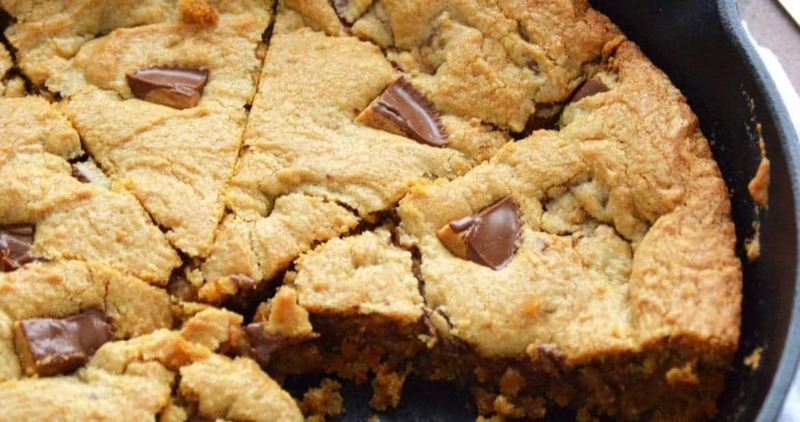 Make it for your next get-together, you won’t be disappointed! Enjoy! This Cheesy Artichoke Dip makes the perfect appetizer and makes enough to feed a crowd. It's hot, cheesy, bubbly, full of artichokes and a crunchy cracker crumb topping. Add the cream cheese to a large bowl and use a hand held mixer to beat it until smooth. Beat in the mayonnaise. Add the artichokes, mozzarella, parmesan, Worcestershire sauce, garlic powder, onion powder and cayenne pepper. Mix well and pour into an 8x8 inch baking dish or a pie plate. 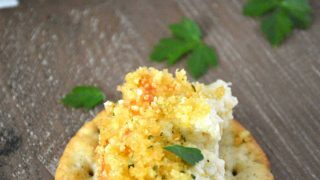 In a small bowl, mix together the cracker crumbs and the olive oil. Sprinkle evenly over the dip mixture. Bake at 350 degrees for 30 minutes or until the top is golden brown and the dip is bubbling. 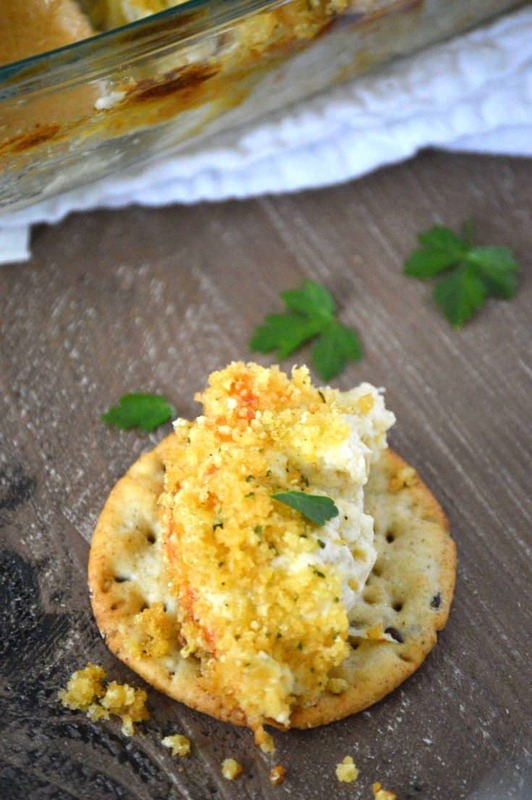 Serve with gluten free crackers. Recipe adapted from Food Network. To make the cracker crumbs, pulse them in a food processor or place them in a bag and crush with a rolling pin. You could also use gluten-free bread crumbs. This post is linked to Two Cup Tuesday, Totally Talented Tuesdays, The SITS Girls, Create & Share DIY and Recipe Party, Gluten-Free Wednesdays, What’s Cookin’ Wednesday, Allergy Free Wednesday, Wine’d Down Wednesday, Full Plate Thursday, Showcase Your Talent Thursday, Create it Thursday, Crafty and Delicious Party, Your Turn To Shine, Pin Junkie Pin Party, Gluten-Free Fridays, Link Party Palooza, Savoring Saturdays, Weekend Wind-Down, Weekend Potluck and Best of the Weekend. 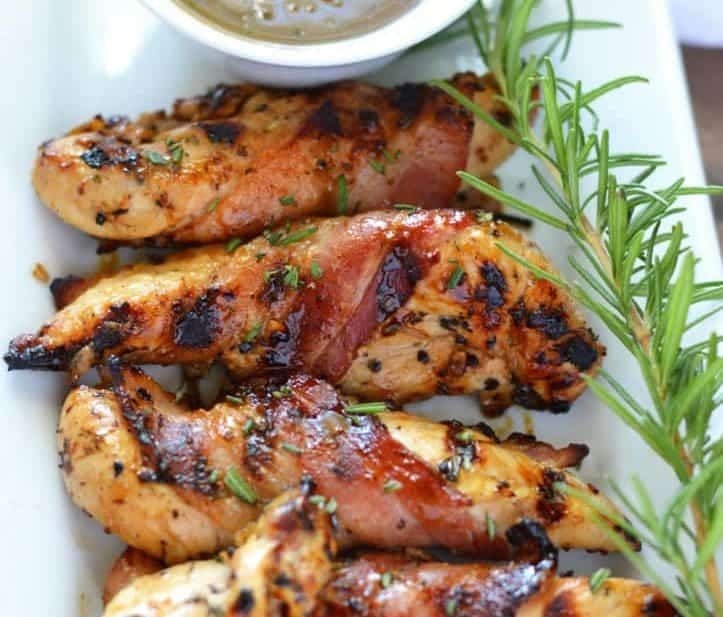 Follow Sharon | What The Fork Food Blog’s board Appetizers on Pinterest. The only ingredients I am seeing are 2 blocks of cream cheese. Is this only on my end? Fixed it! There was a glitch on the recipe card for some reason… Sorry about that! 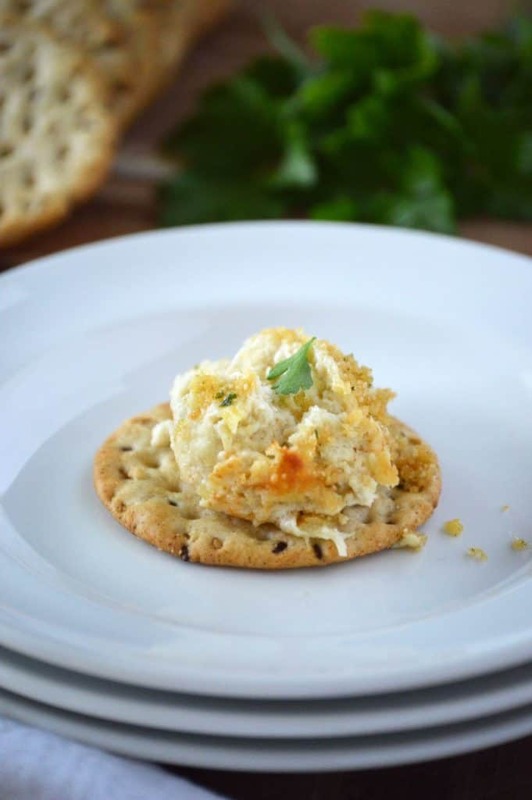 Love this dip…I am a sucker for artichoke hearts and any kind of cheese! And I love those Breton gluten free crackers too…they are really good! Pinning! 1/8 tsp of cayenne……the half Asian in me in dying. That would be what I’d put on each spoonful which is how I’d eat this because YUM! You did put breadcrumbs on top so it’s pretty much like lasagna..but not.